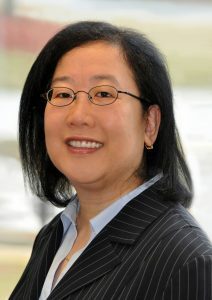 Ms. Lee will be responsible for supporting CPFF’s board of directors and volunteer groups. She will serve as the main public contact and spokesperson for the organization and will represent the foundation in all professional business capacities. Sharon will work with President Kirk Morrison to continue Founder Robert Davidson’s vision and dedication to Canadians touched by pulmonary fibrosis. “I am confident that Sharon’s empathy, fundraising experience and leadership skills will help us expand our services for Canadians living with pulmonary fibrosis and continue to invest in research into this devastating illness,” says Morrison. Ms. Lee was previously with the Allergy Asthma Information Association. A 20-year veteran of the non-profit sector, she has also held positions with Canadian Council of Human Resources, ErinoakKids Foundation and Ontario Real Estate Association Foundation.